At DawsonReed, we have used Merlin and now Merlin Project regularly in our business managing projects and programs. We loved it so much and find it so useful that we reached out to ProjectWizards to see how we could bring this great project software to others. We use lots of tools, we don't put them on our website. This one is cool. We are excited to be writing about and offering Merlin software products through our company. As a project manager, understanding and communicating the work both to be done and already done are critical facets to success. We found Merlin's views, reports, and ability to customize these for individual project needs or even individual stakeholders to be indispensable. The project manager needs certain information to plan, execute and monitor the project while the project team members need to understand this same information from a different vantage point...mostly their own. Sponsors need to know what's been done, what will be done soon and when the whole project will be done. Most of the time giving a sponsor a Gantt chart or the project task list isn't the right information (either too little or way too much). Merlin's reporting features handle these situations fabulously. We have created several custom reports to meet these individual needs. Sometimes clients have specific toolsets required for managing projects in their companies. Merlin Project works side-by-side with these tools when necessary due to the robust import, export and sharing capabilities even though it is Mac project management software. 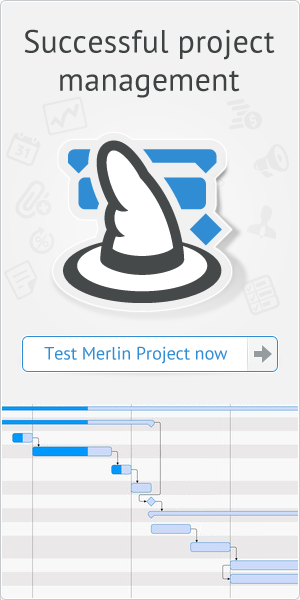 We're excited about the possibilities of Merlin Project combined with Merlin Server. The enhanced reporting features, the ability to do earned value and the many diagraming views available are proving to be valuable assets in the project manager's toolkit. We don't just sell Merlin software. We use it too. We're here to discuss the best option for our client's business needs in advance of any purchase. Then, if necessary, we offer services to integrate Merlin with our client's business and project processes. Contact DawsonReed with any questions about Merlin Project and what options are right for you.